THIS STUNNING ONE OWNER MAGNETIC FUSION WITH A CLEAN CARFAX IS IN STOCK AND READY FOR YOU TO ENJOY! 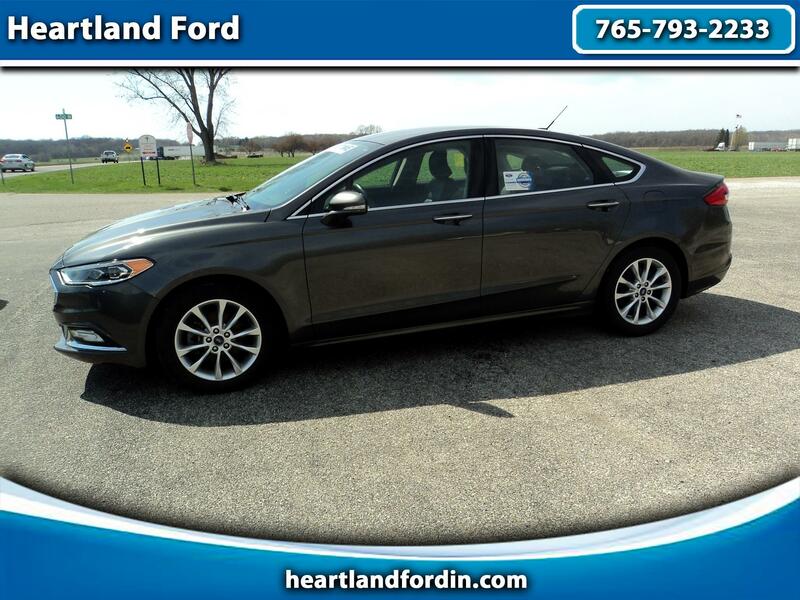 NICELY EQUIPPED FUSION THAT FEATURES THE SE LUXURY PACKAGE, DUAL POWER HEATED LEATHER SEATS, DUAL ELECTRONIC CLIMATE CONTROL, KEYLESS ENTRY WITH REMOTE START, TECHNOLOGY PACKAGE, SYNC 3, REAR CAMERA, ALLOY WHEELS, PEPPY YET ECONOMICAL ECOBOOST ENGINE... THE RIGHT CAR AT THE RIGHT PRICE! ALSO INCLUDES OUR EXCLUSIVE HEARTLAND FORD LIMITED LIFETIME POWERTRAIN WARRANTY FOR YOUR LIFETIME OF WORRY FREE OWNERSHIP! CALL TODAY AND SCHEDULE AN APPOINTMENT WITH ONE OF OUR FORD CERTIFIED SALES ASSOCIATES.